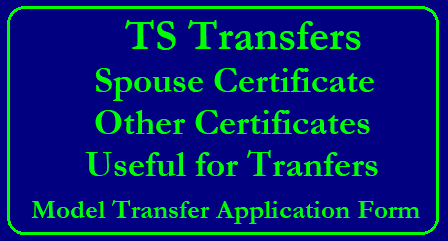 Here we are providing Spouse Certificate and many other certificates which are useful during Transfers. To download the certificates click on the link given below. You are also provided with Model Transfer Application , before applying online you can download this Model Transfer Application form and fill the form which contains the applicant personal details manually and then it will be easy to apply online.